In my previous post, I introduced some of the key hybrid cloud trends from our commissioned report ‘Hybrid Cloud Adoption Gains Momentum’ conducted by Forrester. Now I will go into greater depth on how hybrid cloud is supporting digital transformation and the opportunity it presents for the role of the IT professional in this new hybrid cloud world. Heads of IT will start to take on a new position in the organization, more like a musical conductor than a section leader, brokering IT services for different business units. Currently, as digital transformation accelerates, business departments are procuring their own cloud services with astonishing speed and ease. However, not everyone is singing from the same hymn sheet as the IT department. If I am a head of finance or HR and I’ve found a cloud service that brings value to my part of the business and my employees, you can understand why I will be unrelenting in implementing that service. As a consequence, self-service and shadow IT is putting the IT department in a difficult position where multiple cloud services are unmonitored and ungoverned which in the long run will create significant challenges. Compliance is a good example of this new challenge, where the IT department won’t have the visibility to know where all the company data is held, in which country, in which type of cloud, with which third party SLAs in place. As a result, the company may fall foul of data protection laws or experience financial issues by not monitoring the sprawl of cloud service contracts. The inherent risks of shadow IT, ungoverned clouds, and lack of integration threaten to undermine IT’s role in business. However, there is a parallel trend at play. 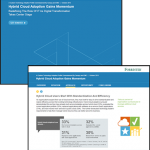 The Forrester study identifies that, in fact, hybrid cloud adopters are indeed looking for ways to manage multiple cloud solutions. This presents IT leaders with a new opportunity, by consolidating, governing, and managing different cloud services to ensure they help meet business needs and reinforce their role within the business. Hybrid cloud is a way for the IT department to retain control of the service catalog. This is already starting to happen with 51% of IT decision makers surveyed saying they intend to consolidate the management of all cloud services. This was a surprising trend highlighting the level of maturity among the enterprises that have an articulated strategy about the IT services provided to business users. 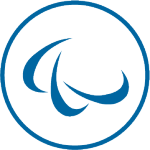 This is an exciting phase showing that IT’s role is transitioning towards a service broker. It’s a picture which often requires the support of a partner to take a holistic view of the technology in the long term, source the best option for the internal customer and prioritize the applications and services needed to facilitate digital transformation. When all these different components are brought together, the enterprise is in a position to fully benefit from the innovation, agility and operational efficiency delivered by cloud services, while ensuring its transformation is traveled rapidly and with full security. 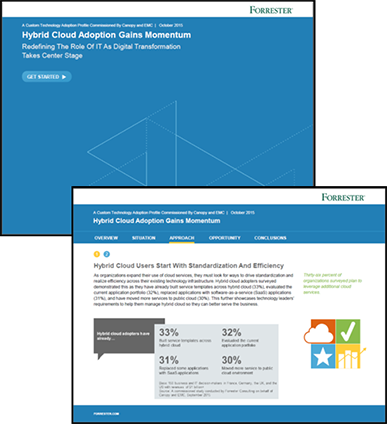 For more information on the Forrester report, ‘Hybrid Cloud Adoption Gains Momentum’ you can download it here. Look out for my next post on how IT’s role transitions to becoming a service broker.